Cut Acorn in half, starting at the stem. remove the seeds with a spoon. Spray on the flesh with “ I Cant Believe It’s Butter” and some salt and pepper. 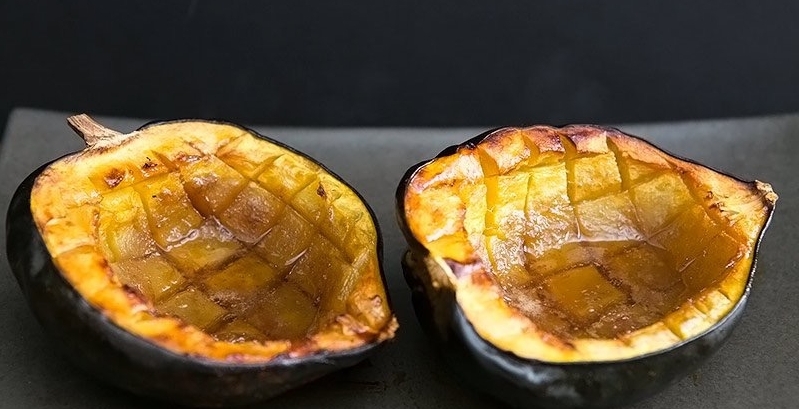 Turn acorn squash skin side down onto in a pyrex baking dish. Bake in oven until it begins to soften, approximately 30 to 45 minutes. Remove squash from the oven and turn upside in the baking dish and add 1-2 tablespoons of Walden Farms Pancake Syrup or your favorite Maple Syrup and sprinkle the top with cinnamon. Return to oven and bake for 20 more minutes.